Who the book is for? This book is for anyone who creates for a living and desires to become more effective in their efforts. This book is for the artist, entrepreneur, inventor, writer, blogger, designer, marketer, musician, or any other creative type. This book is for the disorganized, the ADD generation, and the creatives of the world. This book is for anyone who has ideas, but struggles to turn those ideas into reality. If your still reading, this book is for you. Over the past several years I have read and been influenced by many great authors who write on these topics. Yet as I read book after book, I struggled to figure out how to implement the strategies I read into my daily life. Often a book would lead to a burst of change for a short period of time, and then I would find myself lapsing back to old ways in just a few weeks. Eventually, I combined the best of all the books that I had read into one simple technique. This technique is simple, practical and easy to implement into daily life. This technique sits at the intersection of creativity, productivity and goal setting. This technique is not a completely original idea, instead it builds upon the best concepts of the authors that came before me. This technique has existed in some form or fashion in my life for the past several years, slowly growing and morphing into what it is today. This technique has enabled me to achieve my goals of working remotely and traveling the world. This technique has enabled me stay focused and publish blog posts and art projects on a weekly basis. This technique has enabled me to focus my energy and create this book. This technique can do the same for you. As I mastered the technique in the past half-year, I knew I had to share it with the world. If you want to learn the art of follow through and achieve your best goals, then this book is for you. 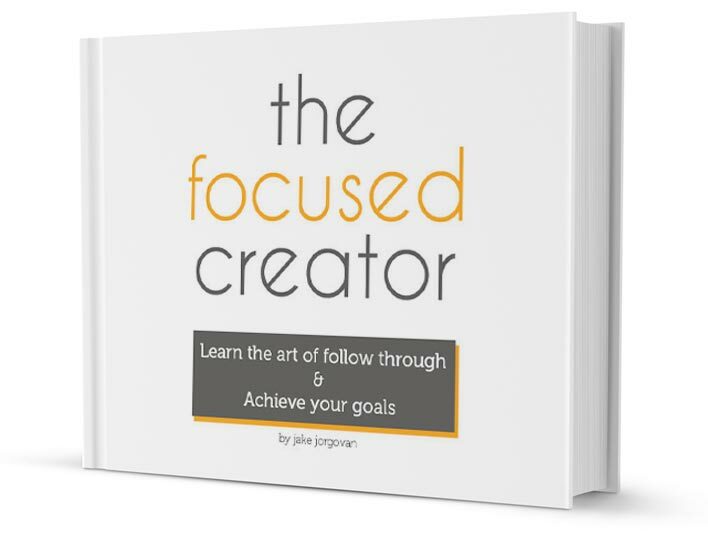 Simply enter your e-mail address below, and you will receive a free copy of The Focused Creator.